GWM is dead. Long live GWM. But wait - don't stop reading. Let's qualify that. Great Wall Motors' vehicles are alive and well in South Africa, as GWM now enters its 10th year on the local market. And what a decade it has been, with this once-unknown brand having become a respected byword for durability, value, and quality, with well over 55 000 vehicles sold through its 40-plus dealerships across the country. 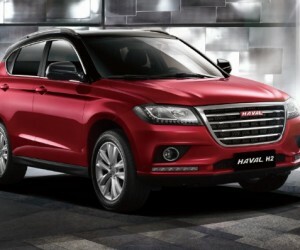 But now it's fully controlled by the Chinese parent company, and the local subsidiary has been branded Haval Motors South Africa (Pty) Ltd. So we can look forward to an ongoing raft of best-selling, continually updated GWM products, which includes the reintroduction of the popular H5 and H6 SUVs as well as the advent of refreshed Steed bakkie line-ups. But the big news is that premium Haval products are set to be rolled out - starting with the Haval H2 at the end of this month. 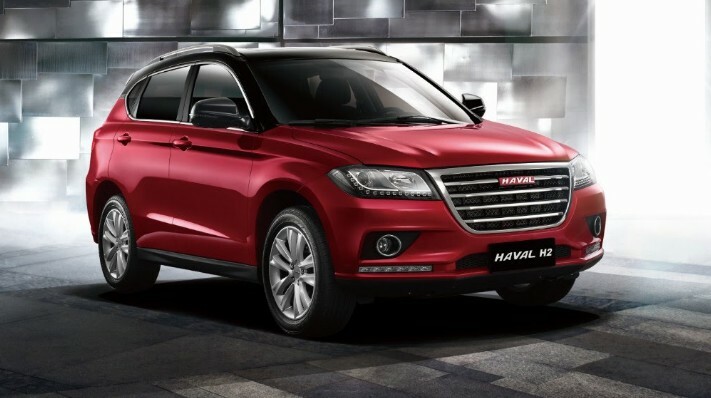 Haval, of course, is the premium sub-brand of GWM, and while the name might still be strange to South African tongues (it rhymes with "gravel"), it's massive in its home market of China, having achieved sales of over one-million units last year. That's right - one million, which makes it the best-selling SUV brand in China. Indeed, the H2 seems set to shake up the unquenchable South African market for sub-compact SUVs, with its mixture of excellent driving dynamics, slick styling, high safety levels, and superb quality inside and out. Powering the H2 is a punchy, proven 1.5-litre turbopetrol motor making 105kW and 202Nm of torque. Drive is to the front wheels via a six-speed manual or automatic gearbox, and equipment levels are stellar, with everything from durable, man-made leather upholstery to a high-resolution touch-screen infotainment system. And reassuringly, this vehicle boasts a five-star C-NCAP rating. But the biggest surprise with the H2 promises to be its price, which will be announced at the launch, and which will certainly undercut the competition in this hugely popular segment. At the same time as the H2 the smaller H1 crossover will debut. Both the Haval and GWM brands seem set to soar on the value-hungry local market with a standard, five-year/100 000km warranty only sweetening the appeal of GWM's Steed 5 D/C, Steed 6 D/C, H5 and H6 products, as well as on all Haval vehicles. What's more, all Haval's come standard with five years' road assistance. Something that's arguably unrivalled on the SA market. "The South African market plays an important part in our international expansion strategy and going forward we will continue to distribute Haval and GWM vehicles, offer parts and service support as well as administer warranties through the already established dealer network."